Normally one can visit Kasauni at any time but April to June & Saptember to November is the best time. During this season, you can find different colors of nature. Some time light sun shine, some time cloudes and some time rimzim rain. If you want to enjoy snow, visit the town during the off-season (November to February), it is quite likely that you will not come across any person for a long while on your walk. Still, you will be accompanied on your walk by the sweet and soothing voices of the birds along with the gentle rustling of leaves. 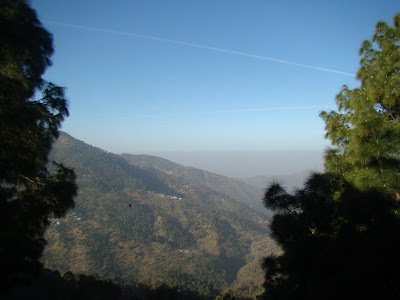 AIR : The closest airport from Kasauli is Shimla, 35 km away & Chandigarh airport, 65 km away. Many flights from Delhi-Chandigarhh are available in a day. From there, a cab will bring you to Kasauli. RAIL : Many trains are available for kalka from Delhi. One can reach to Dharampur in one & half hour. 12 km. distance from Dharampur to Kasauni can be easily cross by Taxi or Himachal roadways. Road : Delhi Kausali disance is 264 kms. It is 67 kms and 35 kms from Chandigarh & Kalka respectively. 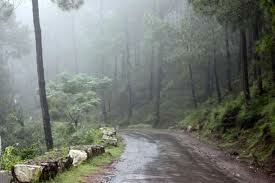 One can reach to Dharampur by Himachal Roadways from Kashmirigate, Delhi. From Delhi, take NH 1 to Ambala, and cross Sonepat and Karnal. From Ambala, take NH 22 for Kasauli if you are travelling thru your own vehicle..
Gurudwara Shri Guru Nanakji : This historic Sikh gurudwara is located in Gharkhal bazaar on the main road towards Kasauli, having also lodging facilities. Besides the daily prayers, a programme is held every Sunday morning. Manki Point: This is the highest point in Kasauli, the place where Lord Hanuman is believed to have set his feet while on his way to look for the Sanjeevani buti (herb). Around 4 km from the Kasauli bus stand, at its top, is a temple dedicated to Lord Hanuman that lies within the premises of the Air Force base. As such, there are a few restrictions: one is not allowed to carry bags or cameras inside. 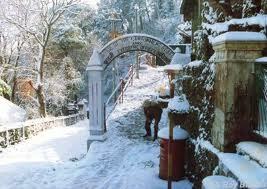 Christ Church : Close to the bus stand, it was constructed by the British family that founded the town of Kasauli itself. It is a magnificent structure built in the shape of a cross. Shirdi Sai temple, Airforce Guard station, Asia's highest TV tower are another attractions.